Company «The Union of Medicine & Technologies», ltd. represents tubes from famous Italian company IAE (Industria Applicazioni Elettronoche) on the Ukrainian market. IAE was founded in 1950. In 1965 they began the production of X-ray tubes. They produce tubes for computer tomography (CT) since 1988. Production located in Italy and France. IAE is a strategic partner for most of the major equipment manufacturers worldwide with its wide range of products (more than 100 combinations of tubes and housings). tubes for computer tomography (CT). X39, X42, X76 in the С40 housings. 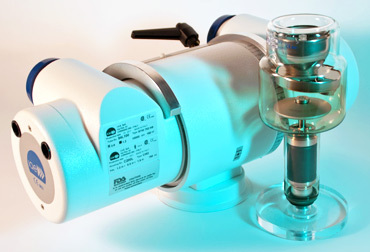 We offer to supply tubes for all the organizations that make the maintenance and repair of X-ray equipment. 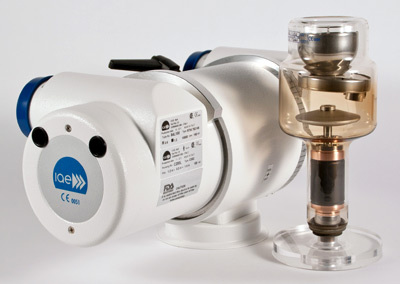 IAE tubes are installed on most Italian and French origin devices. IAE tubes can be installed instead of the tubes from other manufacturers (recommendations for replacement tubes for similar IAE see the catalog page. 36-40), if it is structurally possible to fix the tube on bucky stand and a collimator fastened on the tube, as well as to make the appropriate setting of the generator. With other tubes you may become familiar in the catalog (in Ukrainian). The IAE tubes passed a procedure for assessing compliance with the requirements of the technical regulations. Certificate of conformity to requirements of the technical regulation of medical products № UA.MD.048-17 dated 21.09.2017.